From experience, we believe that the key aspect of a luxury wedding is in creating a set up that is grand, gorgeous and one-of-a-kind. To help you do this, we can provide truly special products that you won’t find anywhere else. We stock a selection of luxury wedding furniture that will help you to create a unique and memorable setting. 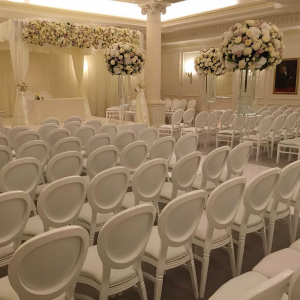 Whether you are a Wedding Planner or planning your own wedding – we can help. 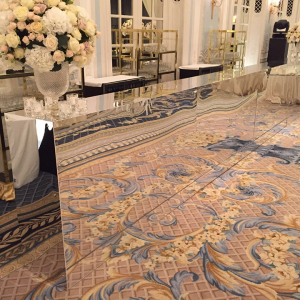 Our luxury furniture products include our popular Silver and Gold Mirror Dining Table Tops, Silver and Gold Mirror Dance Floors and Bars. Or, if you’re after a specific colour for your wedding reception, we also have an in-house Upholstery Service. This allows us to personalise our products to suit your colour scheme. We custom-make our truly unique Fabric Bars, Table Tops and Banquette Soft Seating according to your requirements. To make it all easier, we also provide gorgeous dining chairs, table centres and soft seating, so you can get the whole package from us! 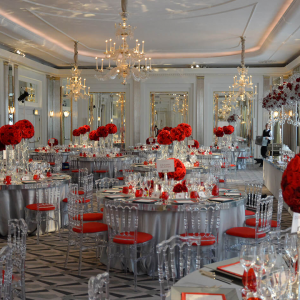 Are you planning a Luxury Wedding Reception? Let us inspire you with our Luxury Wedding Showcase. In need of some bespoke creation? Visit our Workshop to read more about how we can personalise our products. 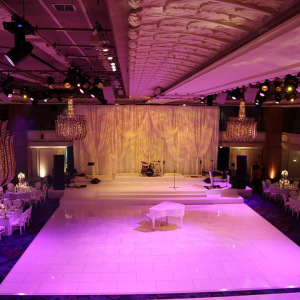 Over the years, we have supplied for some beautiful and memorable luxury wedding receptions in London, Manchester, Birmingham and in the most stunning country venues across counties in the South of England, such as Berkshire, Hampshire, Wiltshire, Gloucestershire, Surrey, Sussex and beyond.